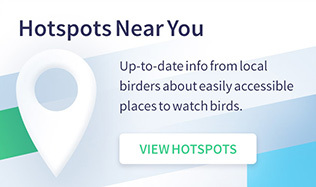 Like any good birdwatching destination, the sounds hit you first. From the car to the Ojibway Nature Centre, my head constantly swivels upon arriving at Ojibway Park. The park is the hub of the larger Ojibway Prairie Complex — the natural starting point for visitors — and it instantly impresses. One of my favorite things about birdwatching is the ability to be present and appreciate not only the birds, but also the surroundings, flora, and other species. I can enjoy all of these things while meandering along the four well-kept self-guided trails weaving through the park’s mature Pinochet Woodland. At the Nature Centre, a variety of feeders are visible from the window, alive with a fluster of avian activity. Just outside, native wildflowers bloom around a pond full of turtles, croaking frogs, and high-pitched trills of American toads, in addition to the choir of songbirds that fill the air with melodies. Together, it’s the perfect symphony. The trees around the pond are full of warblers, gnatcatchers, and woodpeckers. Exploring the park provides you with the perfect opportunity to enjoy the environment while sharpening your birding skills. 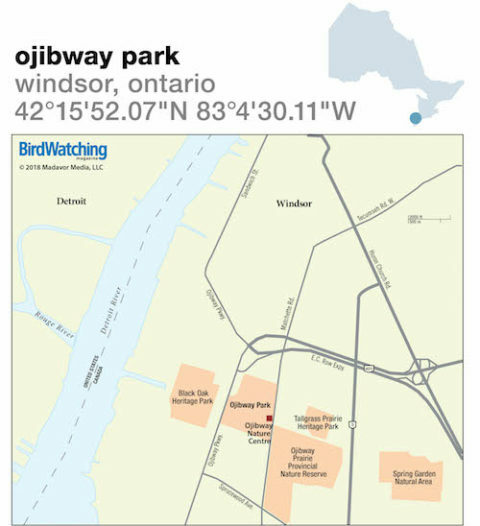 Ojibway Park is a part of the Ojibway Prairie Complex, which includes five properties totaling 105 hectares south of downtown Windsor. From the downtown area, take Tecumseh Rd. W. southbound. Make a slight left as it merges into Matchette Rd. Continue for 1.7 miles (2.7 km) and turn right into Ojibway Park. Wetlands, tallgrass savanna, prairie, and oak woodland. Large diversity of flora and fauna. Mainly flat natural terrain and asphalt trails. Boardwalk is wheelchair-accessible. More than 240 species. Year-round: Nature Centre feeders attract titmice, chickadees, nuthatches, cardinals, goldfinches, and jays. Common park visitors: Eastern Screech-Owl, Tufted Titmouse, Red-bellied and Red-headed Woodpeckers, Carolina Wren, Indigo Bunting, Cooper’s Hawk, American Kestrel, Ring-necked Pheasant, American Woodcock, Yellow-billed Cuckoo, Eastern Bluebird, Green Heron, Belted Kingfisher, Warbling Vireo, and Baltimore and Orchard Orioles. Rarities include Yellow-crowned Night-Heron, Lewis’s Woodpecker, “Audubon’s” Yellow-rumped Warbler, and Dickcissel. Spring and fall are best. Nature Centre open 10-5 daily. Educational programs, interpretive nature tours, and hands-on experiences. 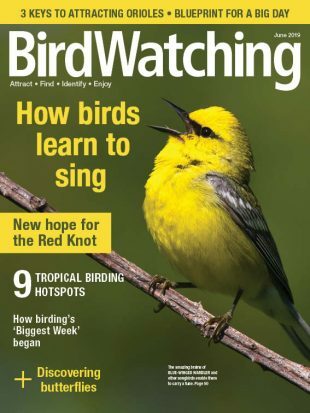 Recent bird sightings, checklists, and trail maps available. Restrooms on site. Urban park and preserves. Free admission and parking. Park open dawn to dusk, year-round and is accessible by cars. The area is wooded. Apply mosquito and tick repellent. Black Oak Heritage Park good for woodland nesters such as Wood Thrush, Ovenbird, and Scarlet Tanager. Spring Garden Natural Area is one of the best sites in Canada for butterflies, and Blue-winged Warbler and Yellow-breasted Chat have nested here. About 50 minutes southeast of Windsor; adjacent to Lake Erie; features 3 miles of trails and over 87 acres of marshland/shorebird habitat.